This last month has been super crazy, filled with exciting travel, a fabulous wedding, and nonstop working between. And sports have been taking up a lot of my time…. the Kansas City Royals went to the World Series! 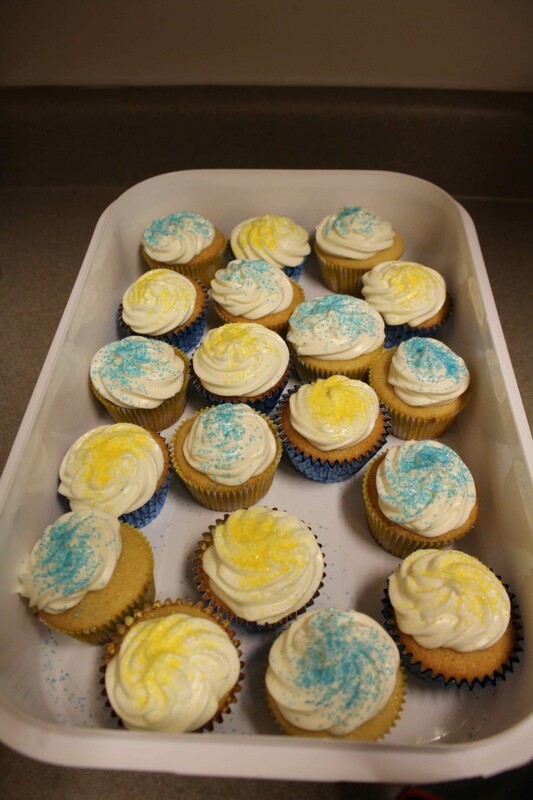 In honor of the boys in blue, I made some Royals Cupcakes! Despite the heartbreaking loss in game 7, they made Kansas City proud and have renewed our faith in KC sports. Brown sugar smells like fall to me – cookies, oatmeal, winter cakes. This recipe is very simple and can easily be whipped up at the last minute for any of your fall events. I am so excited about the photography below as well. I took these pictures with my new Canon Rebel that my wonderful husband got me for my birthday! 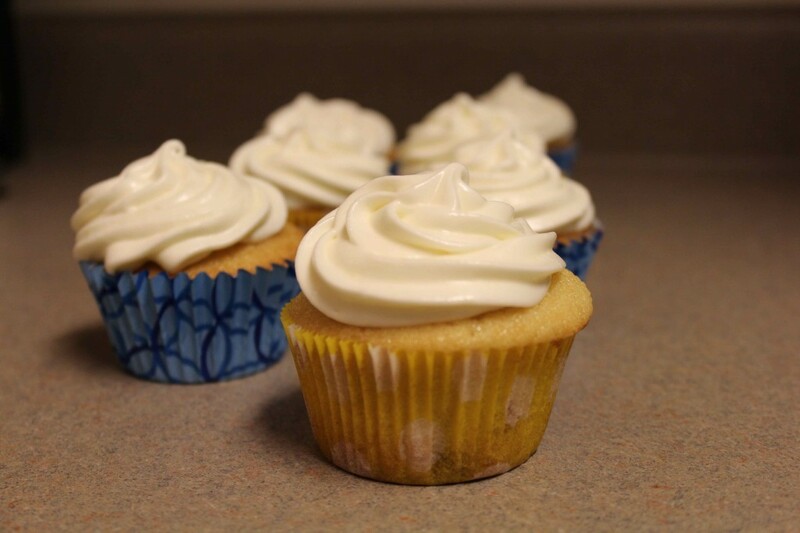 This post also debuts my new cream cheese merengue frosting. The recipe is based on some of the principles of French buttercream. It is lighter and the cream cheese really shines through. It is not quite as stiff as some of the other frostings I have posted before, but the flavor is unmatched. This is also simpler than the French buttercream and comes together in probably half the time. It is a little soft for piping and it is important to make sure all the ingredients stay a bit chilled when you get started. It is a perfectly balanced frosting, not too sweet and just the right amount of sour. I must say this cupcake could be an indulgent breakfast. So if you are looking for a dessert after holiday brunch, this is your cupcake. 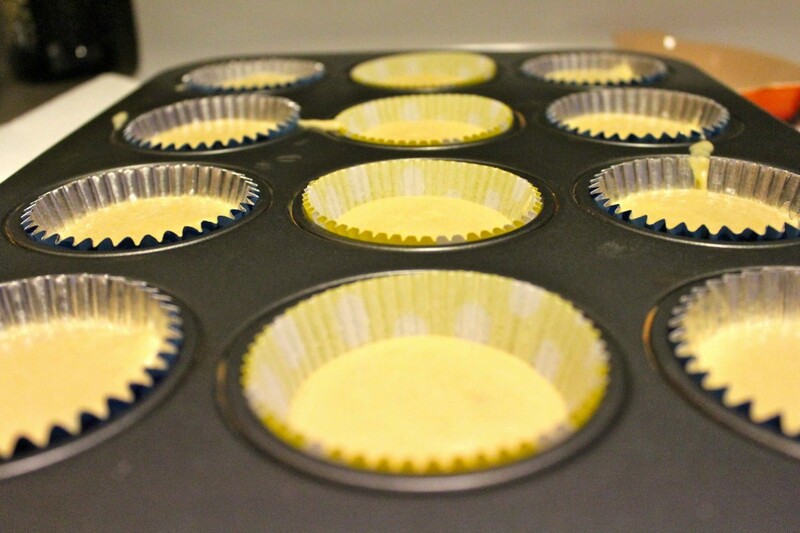 Preheat oven to 350 degrees and line cupcake pans with paper liners. Melt the butter in a microwave safe bowl at 60% power for 2 minutes. Do not allow it to cool. In the bowl of a stand mixer with the paddle attachment, beat the eggs on medium-low speed for 2 minutes until light yellow and foamy. Increase the speed to medium-high. Slowly pour in the warm butter, careful not to scramble the eggs. When all the butter is added, decrease the speed to medium low. While the mixer is running, add in the sour cream, milk, vanilla, and salt. Mix for one minute until combined. 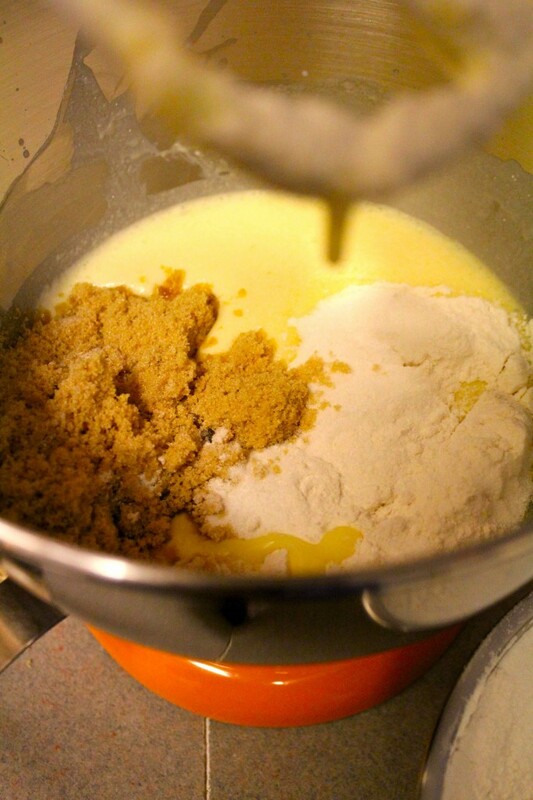 In a separate bowl, sift together the flour, granulated, sugar, and baking powder. Add to the batter along with the brown sugar. Mix until just combined, no more than 20 seconds. Scrape the bottom and sides of the bowl to ensure everything is mixed in. Scoop into the prepared baking pan. Bake for 20-25 minutes, rotating the pan halfway through. 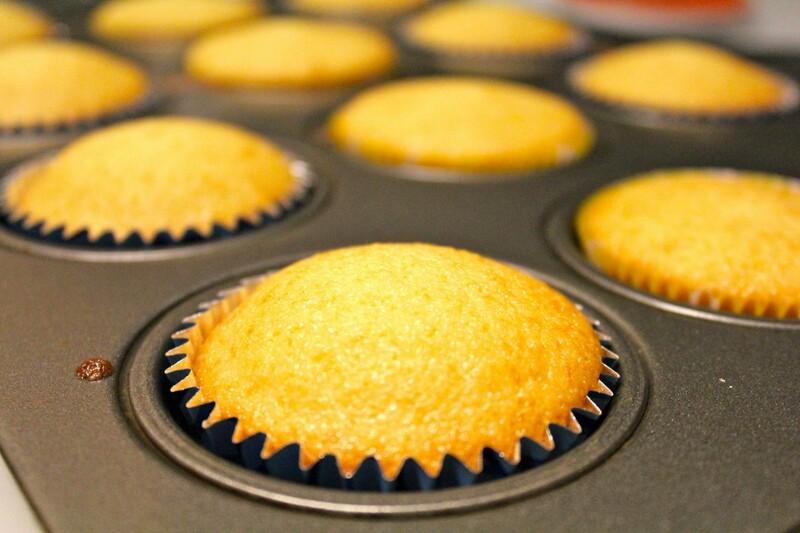 Use a toothpick or knife to poke the center of the cupcake, if it comes out clean with just a few crumbs, the cupcakes are done. In the bowl of a stand mixer with the paddle attachment, beat the cream cheese on medium speed until slightly fluffy. Add the butter, 1 tablespoon at a time, mixing until smooth. Add the confectioners’ sugar and vanilla and mix until fluffy, scraping the bowl. Set aside. In a small saucepan Combine the granulated sugar and water and bring to a boil over medium heat. With a candy thermometer in the pot, cook to 238 degrees. 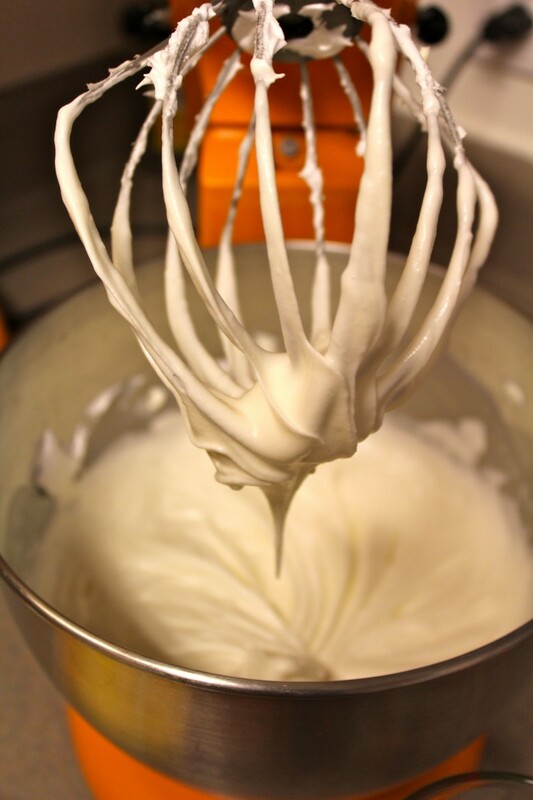 As the sugar cooks, place the egg whites into a mixing bowl set up with the whip. 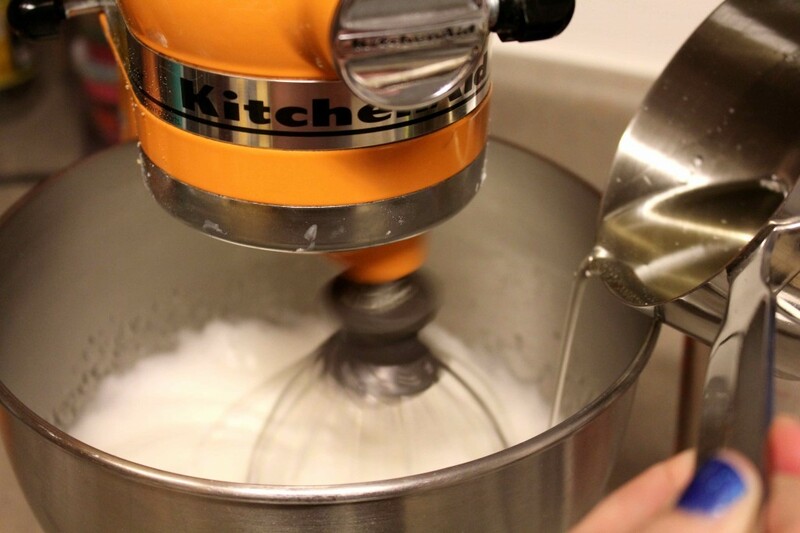 When the sugar is almost 238 degrees, turn the mixer on to medium-low and whip the egg whites. When whites are foamy and the sugar reaches 238 degrees, slowly pour in the sugar. Once all of the syrup is added, turn the speed to medium-high and whip until the meringue has cooled to room temperature and has formed stiff peaks. Decrease the speed to low and slowly add the cream cheese mixture, a spoonful at a time. When all of the cream cheese is incorporated, turn the speed to medium and whip until fluffy. Cupcakes adapted from Robicelli’s: A love story with cupcakes. Anything with 12 tbsp of butter has to be a winner!! !